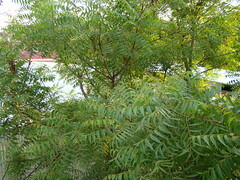 Vepalai tree is commonly known as margosa tree in Englis language. It is part of every Indian home due to its great application and hence is considered as a place of worship. Neem act as anti bacterial, anti parasitic, anti fungal, anti protozoal and anti viral thus helps in protection from all the microorganisms, which are always ready to invade in our body causing serious ailments. The leaf juice in the dose of 10-20 ml is administered along with equal amount of honey three times a day for jaundice, intestinal worms etc. Neem oil along with equal amount of castor oil is given early morning in empty stomach to remove the intestinal worms. The leaves of this plant along with turmeric is ground together and applied over the areas of insect bite, sori (a skin disease), sirangu (scabies), fungal infection, karappan (eczema). The decoction prepared from leaves and bark is used to clean the ulcers and skin diseases. The leaf paste is applied over the burns. The decoction prepared from the flowers is helpful in treating Gunmam or abdominal disorders. The fruit is dried and the seeds are removed, this is then powdered and given in the dose of 1-10 grams two times a day for periodic fever. The oil prepared from neem is an anti-septic and applied externally for ulcers, ezcema and sirangu etc. Neem oil is also used over herpes infection, keelvayu or arthritis and kandamalai (cervical lymphadenitis). The leaves are used as a bed for the patients suffering from pox infection. The twigs of neem are used as an ancient brush for teeth according to Siddha literature the constant use of this will relieve tooth ache, halitosis or bad odour from mouth etc. 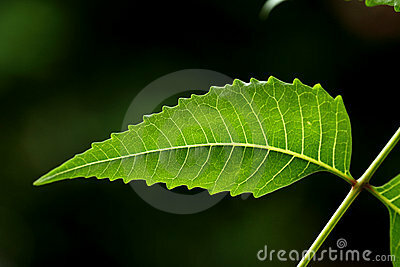 Tender leaves of neem is an excellent medicine for diabetic patients. The neem oil, 5-6 drops is given along with milk in diabetes. Centre in Kuala Lumpur, Malaysia. Our minimum order is only RM 30.00 and shipping start at RM 6.00(Peninsular) and RM8.00(East Malaysia). All orders are sent via registered postal service. Hello , tellme please if you know how long neem seeds retain viability and how long come out ? I planted three seeds for two weeks and still have not germinated .